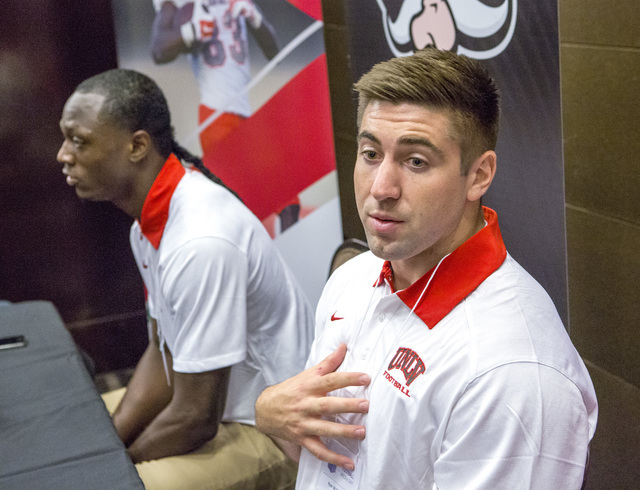 It’s no secret to followers of UNLV football that the energy level of strength coach Keith Belton and his assistant, Jeff Eaton, is off the charts. Their infectious enthusiasm also is no longer a secret to the outside world. 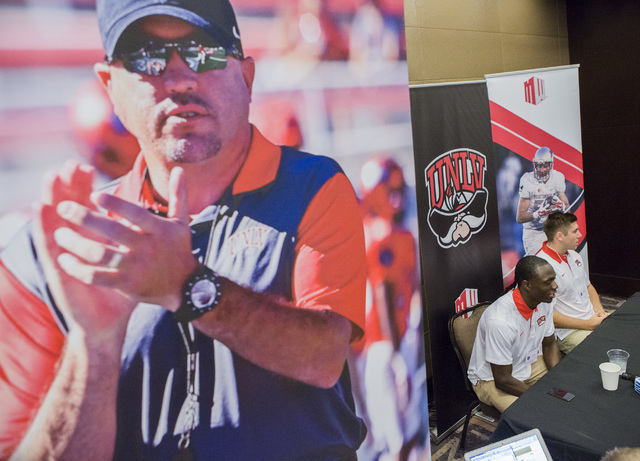 It’s no secret to followers of UNLV football that the energy level of strength coach Keith Belton and his assistant, Jeff Eaton, is off the charts. 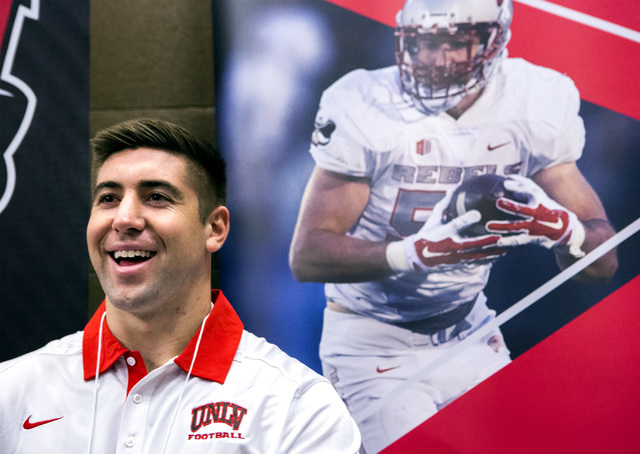 Their infectious enthusiasm also is no longer a secret to the outside world, as a video of the Rebels’ weightlifting session Monday quickly went viral. The video — which was titled “Hard Work. High Energy. Welcome to the UNLV Football weight room. 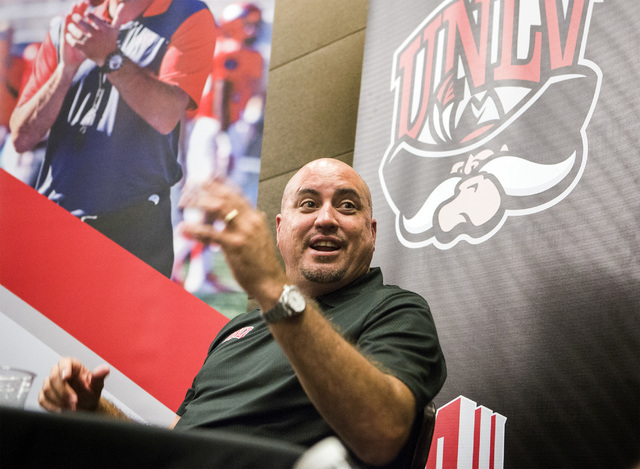 #TheNewEra” — was posted on the UNLV football Facebook page and had more than 749,000 views as of Wednesday afternoon. 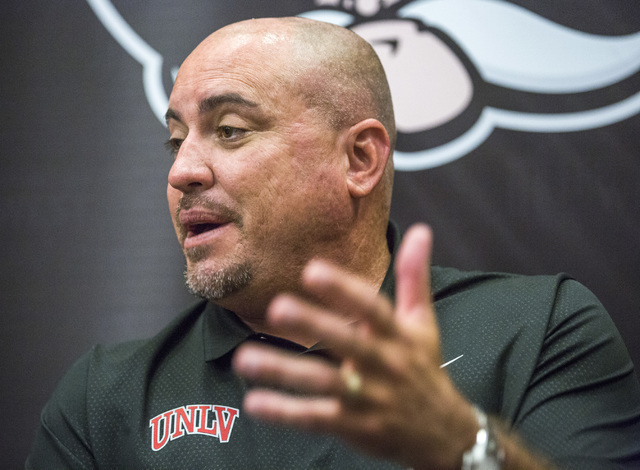 ESPN tweeted the video Monday night, with the headline “UNLV football goes crazy during lifting session” and caption “If this doesn’t motivate you to set a new PR, we’re not sure what will.” The Bleacher Report and other outlets also posted the video, which has had more than 1 million combined views. 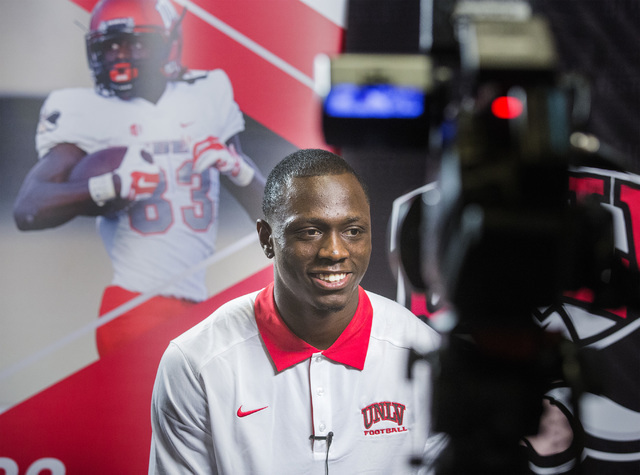 Rebels wide receiver Devonte Boyd said he was surprised at the response to the video. The video shows 5-foot-9-inch, 170-pound running back Lexington Thomas doing five squats of 375 pounds as Belton blows his whistle in front of him, Eaton spots him and the rest of the team sways and screams in the background. When Thomas finishes his set, his teammates mob him as if he just scored a game-winning touchdown. 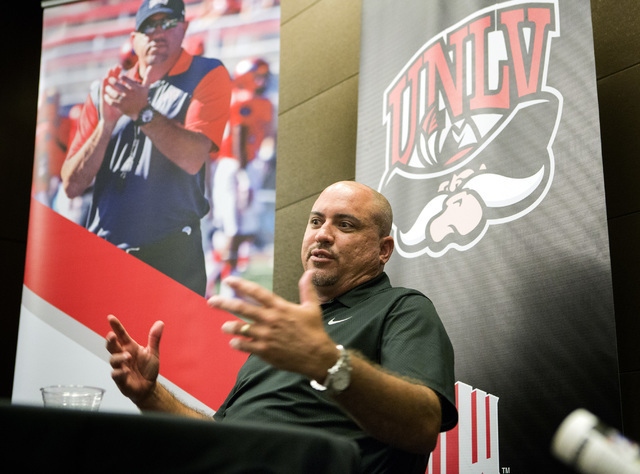 The video exemplifies the attitude change at UNLV instilled by second-year coach Tony Sanchez, who brought Belton on board when he was hired. * BOYD’S NEW ’DO — Boyd is easy to spot in the video. He’s the one with his hair pulled back tightly and tied behind the crown of his head into a tight ponytail, or “warrior tail,” as he calls it. 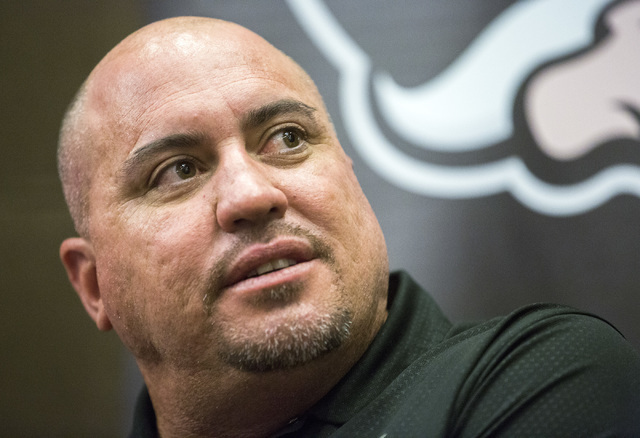 Sanchez didn’t notice Boyd’s warrior tail at first during a recent meeting with him. 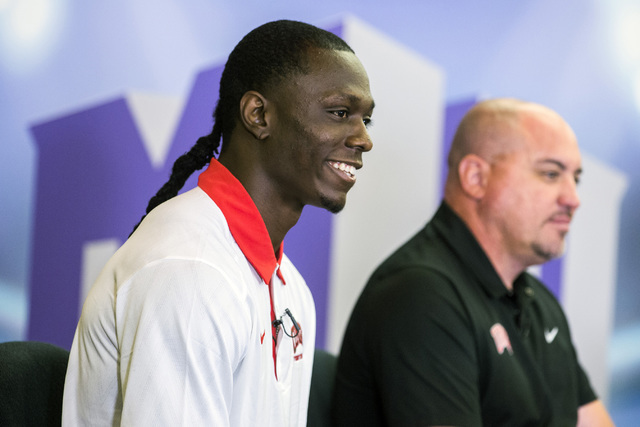 * TIPPING THE SCALES — The 6-foot-1-inch, 180-pound Boyd said one of his biggest goals this offseason was to get bigger, and he gained 10 pounds by constantly eating and lifting weights. He said he has a weight bench and power tower in the living room of his one-bedroom apartment. “Any time I’m walking past the living room, I get in a set, just to keep working,” he said. Boyd also said he has two scales in his kitchen to check his weight. Why does he need two? “Just in case one don’t tell me what I need to know,” he said. 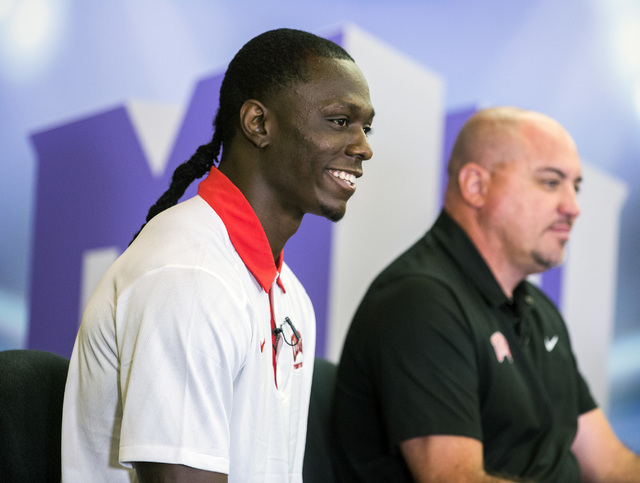 * SANCHEZ IN EXCLUSIVE CLUB — Sanchez, who is of Puerto Rican descent, said he was asked about his heritage the other day, and it brought to mind a recent conversation with Arizona football coach Rich Rodriguez. “It was funny. I saw him, and he said, ‘You know what, I’ve been president of the minority coaches association. 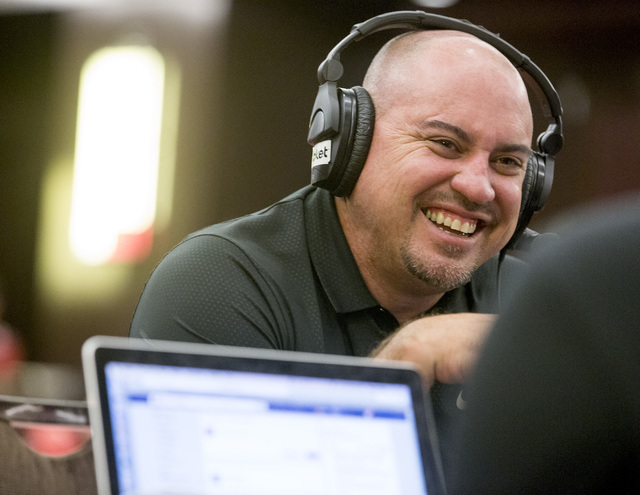 You’re my first member,” Sanchez said. “We joke around about it, but I get letters people send me and they feel a little bit empowered. It’s cool. 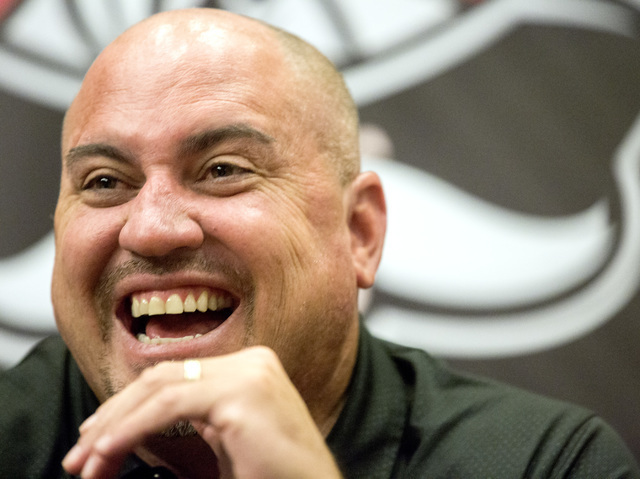 According to a recent Review-Journal analysis, Sanchez is actually the only Latino head football coach at the Football Bowl Subdivision level. Rodriguez and Virginia Tech’s Justin Feunte are of Spanish heritage and don’t identify as Latinos.